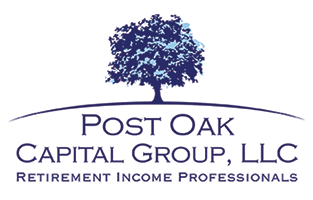 Post Oak Capital Group is a respected Sugar Land area Financial Services Firm with a simple mission: to deliver the highest possible level of financial service using strategies and tools developed for each individual, family or institution with which we do business. We strive to achieve this mission while also achieving the highest possible level of service and integrity. Accordingly, our team goes out of its way to develop deep, long-lasting relationships that make each of our clients feel that they are our top priority at all times. Post Oak Capital Group is supported by a team of experienced, highly credentialed professionals with a deep commitment to the financial well-being of their clients. All of our investment professionals carry Series 7 and 63 licenses as well as Texas insurance licenses. President Keith W. Patterson is a Texas A&M graduate and native Houstonian who knows his hometown's customs and culture like the back of his hand. He worked on Wall Street for several years before striking out on his own and founding the more hands-on, client-focused firm that would become Post Oak Capital Group. His philosophy is clear: Clients are better served by financial advisors who avoid pushing specific products or laboring under sales quotas from management. That philosophy informs every aspect of Post Oak Capital Group's work. Also a native Houstonian, Frank Richardson worked for Dean Witter and Oppenheimer before partnering with Keith and founding Post Oak Capital Group. Texas Monthly Magazine recognized him as a Five Star Wealth Manager in 2009 and 2010. 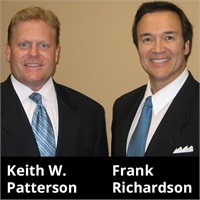 Together, Keith and Frank have more than 50 years of financial experience to their names. Whether you are planning for a comfortable retirement that does not require you to sacrifice the lifestyle to which you have become accustomed or wish to ensure that future generations are well cared for, we stand ready to assist. To schedule a no-obligation financial review with an experienced Post Oak Capital Group Sugar Land retirement planner, fill out the contact form or call us at (713) 960-6949.